Enjoy your morning coffee guilt-free with this Cambridge reusable travel mug made from bamboo. 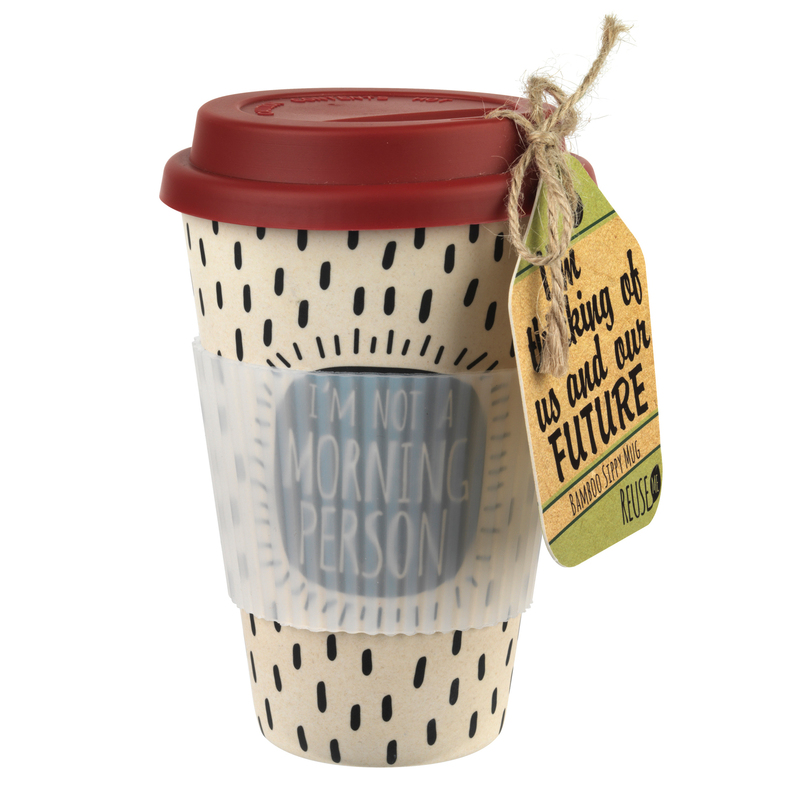 Combining effortless style with practicality, the mug is lightweight and dishwasher safe, featuring a playful design with a fun quote and red silicone lid which is also heat resistant. Perfect for your daily commute, the cup has a top diameter of 9 cm and it is the perfect size to slot into your car cup holder, plus it has a silicone sleeve for extra grip so you can easily carry it on the go. 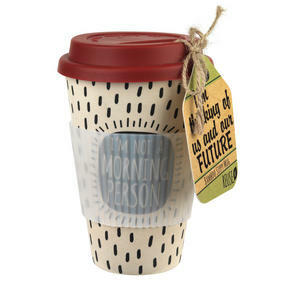 Brighten up your day with this lovely Cambridge Morning Person travel mug with a red lid, ideal for warming up on gloomy mornings.